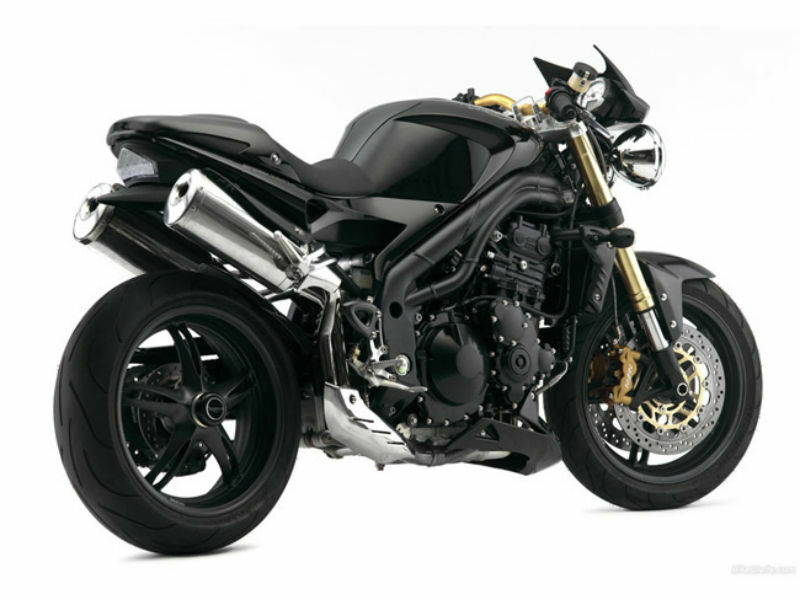 Triumph Speed Triple is one of the best performer of the company has it is designed from the chosen quality features that makes it different from other motorcycles. The short, macho and insistent appeal of the bike has the power to convert any rider to look like a hero of action movie. Thus with all its improved aspects, the bike truly serves as a legend. This motorcycle comes with efficient Liquid-cooled, 12 valve, DOHC, in-line 3-cylinder, 1050 cc engine. The maximum power generated from the engine is about 99 kW at 9400rpm and the highest torque achieved is 111 Nm at 7750rpm. Advanced ECU software and new improved exhaust system used helps to deliver the highest possible power without much loss. The impressive styling of the motorbike including the twin eagle eye headlamp, attractive fuel tank structure, trendy exhaust pipe and chrome finishing pulls the crowd towards it. The broad and aggressive looks of the vehicle is so noticeable that it serves as a true head turner. When it comes to comfortable riding, the seating and handlebar position works has a wonder. 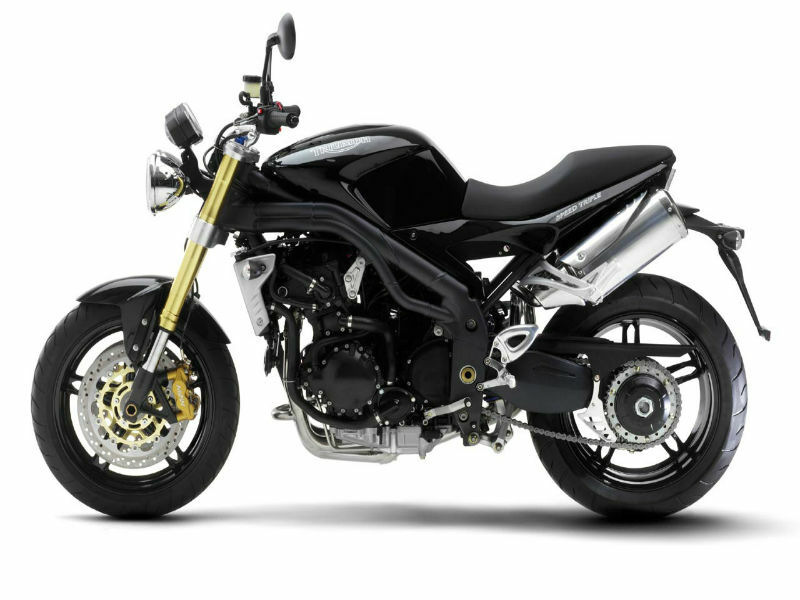 The Speed Triple assures a wonderful driving experience and the main reason behind it is efficient chassis. The new technology suspension of the bike including the front Showa 43mm upside down forks and rear Showa Monoshock help to achieve smooth trouble free ride. Further the disc braking system with optional ABS (Anti-Lock Braking System) provides better control to the rider thereby serving the safety means. The vehicle gives the mileage of about 15 kmpl in city and 22 kmpl in highways however these figures depend on varied test drive condition. 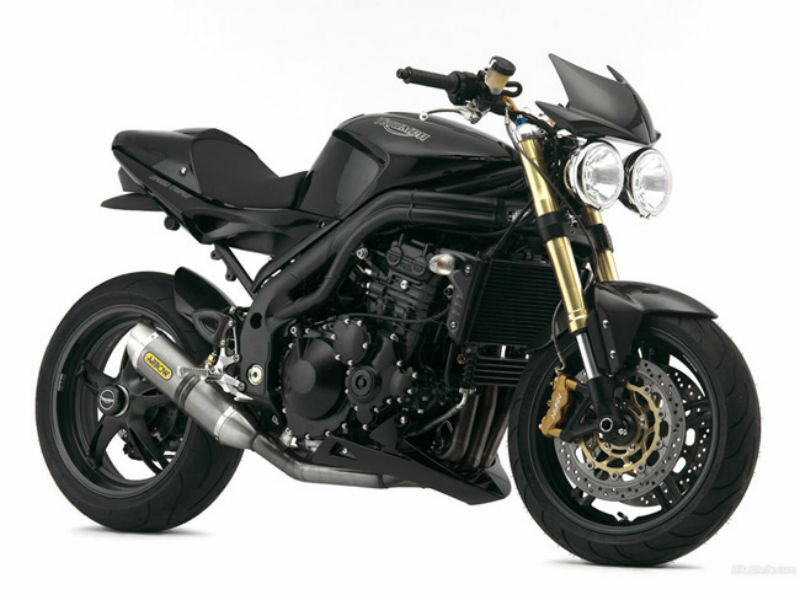 The iconic bike comes in two variants Triumph Speed Triple and Triumph Speed Triple ABS and the cost it will be Rs. 8,00,000 and Rs. 9,00,000 respectively.